2015 seems to be quite a significant year for anniversaries: the 1000th of Cnut’s invasion of England; the 750th of Simon de Montfort’s first ‘English parliament’; the 600th of Agincourt; the 200th of Waterloo; the 70th of VE day; and, of course, the 60th of The Lord of the Rings and the 50th of The Sound of Music. 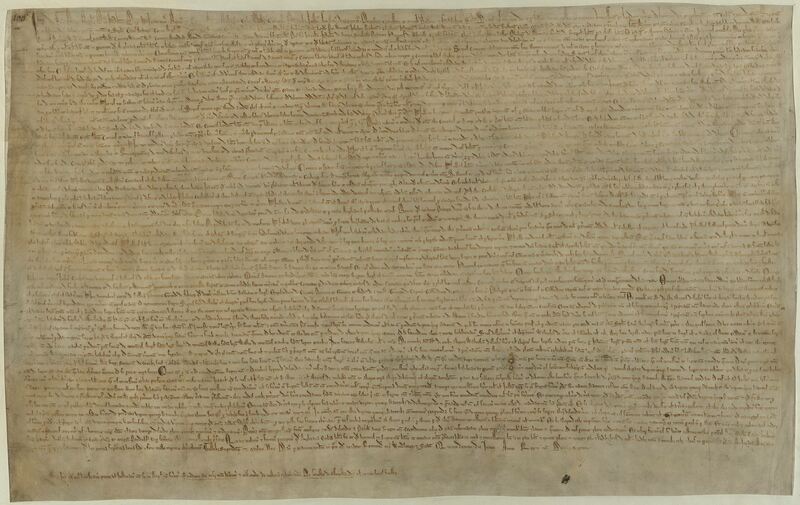 But it was the 800th of Magna Carta that was the inspiration behind this year’s theme. From that encounter was born my desire to somehow put Magna Carta on the stage at TEDxExeter 2015. The influence it has had over so many years on the UK’s unwritten constitution, coupled with my understanding that long-termism was needed to address the challenge of climate change, led me to suggest taking the long view as a possible theme… and so it came to pass. And also to say… after a brief sojourn in London, Salisbury’s copy is now on show again in a new exhibition at the Cathedral. It’s well worth experiencing. UPDATE: Dan has sadly withdrawn from speaking at TEDxExeter 2015.